Your Jensen Beach, FL Dentist Office! Welcome to Jensen Beach Dental, the office of Christopher J. Wigley, DMD, FAGD. We're proud to serve our friends and neighbors in Jensen Beach, Stuart, North River Shores, Ocean Breeze Park and Rio. It is our goal to welcome individuals and families just like you to our dental home and provide you with the type of care we would want for our own loved ones. We believe in a strong community and contribute to ours by providing high-quality dentistry at a reasonable price and by creating partnerships with each of our patients in order to improve and protect their overall health with great dentistry. How we treat our patients is as important as the treatment we provide. That is why we chose a dental team that is both highly skilled and compassionate. We know that many patients feel anxious about dental treatment, and we strive to turn those feelings around and give you a positive experience at each appointment. We offer the full range of preventive, restorative, and cosmetic services all under one roof in a comfortable and welcoming environment. When you call a dental office and you are not currently a patient, it can be difficult to get an appointment, even if you are experiencing pain. 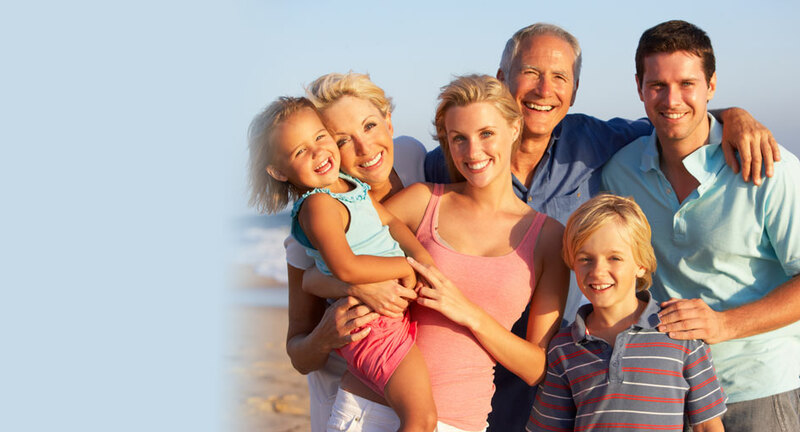 We welcome all new patients to our Jensen Beach dental office whether it is a planned visit or a dental emergency. If you have tooth pain, don’t wait a moment longer. The sooner you call us, the sooner we can take care of you. We will diagnose your condition and give you the treatment options available to restore your oral health and comfort. Unlike dental corporations, you will receive highly personalized care in our office. You will always see Dr. Chris Wigley and the same friendly faces you are used to. This allows us to treat you as an individual - never just a number! When we welcome patients to our office, we provide them with the information necessary to make a good decision regarding their health. You and Dr. Wigley always have the final say in your treatment. He can work with you on your schedule to help you get the care you need. We believe in no-pressure dentistry. We will listen to your wants and needs because your opinion is important to us. When we present you with options, we can recommend what will work best and last the longest, but ultimately the decision is yours to make. By educating you and offering you options, we build a long-term relationship that you can count on. We will never pressure you into treatment or make you feel guilty because of your oral health. We will stay focused on your goals and needs. Whether you are due for an exam and professional cleaning or you’re experiencing a problem with your dental health, call our dental office today. We proudly provide the best dental care available to our friends and neighbors in Jensen Beach, Stuart, Port St. Lucie, Palm City, and the surrounding areas. We accept most major insurance companies and offer financing for those patients wishing to address their concerns now but break down their payments over time. We look forward to seeing your smile and providing you with health solutions that work in your lifestyle!